These cherries in the Green Lake neighborhood were not the fluffy pink clouds they will be in a week or so. But with that blue sky behind them, they were good enough for me. The best part? 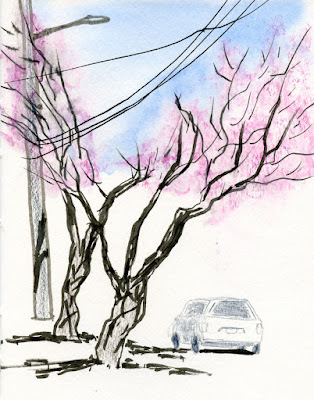 It was warm enough to get out of my car to sketch them!